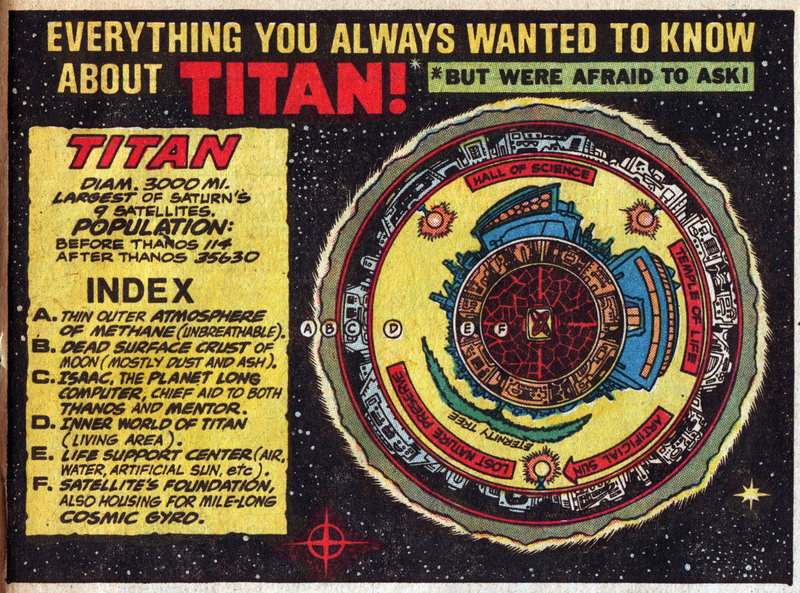 I think there are two ways to view this detailed, scientific map of Titan from Captain Marvel. 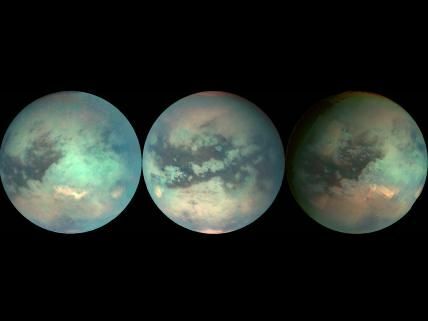 The first is that we don’t need to send more missions to Titan, because we already know what is going on. The second is that we absolutely need to send more missions to Titan because what is going on there is so freaking cool. I favor the second option, both in the comic book and the real world. I mean, come on, lakes of liquid methane. How cool is that? This entry was posted in Curiosities of Nature, The Art of Science and tagged Captain Marvel, comic book, Jim Starlin, Linkonomicon, moon, Titan. Bookmark the permalink.